I'm Going To Have A Guest! I just got news that Ysla, my friend from Oslo, Norway is going to come for a visit! I haven't seen her for over a year so I am just excited beyond belief! I've been thinking about what we should do during her visit and I'm trying to create a really fun "tour guide" agenda. Do any of you have suggestions about what I should take her to see here in NYC? Ysla is a fantastic fabric artist. She makes pieces that combine knitting,quilt work, and beading which are simply gorgeous, so I know that I'll need to take her to the garment district to look for goodies for her art work. And I do plan to take her to the top of the Empire State building. Now, what else to do? Suggestions? A VOTE for VITA is .... well, it's a VOTE for VITA! 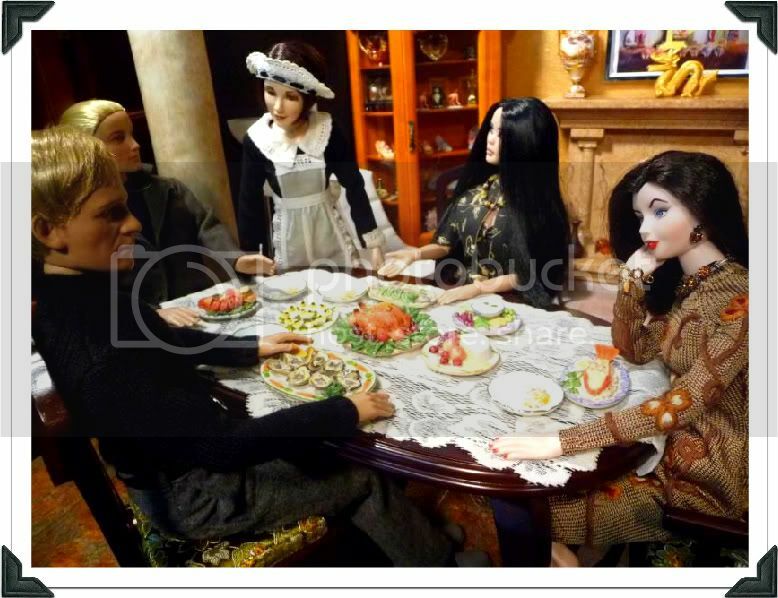 Please take time to vote for Vita and for Horsman in the People's Choice award at Dolls Magazine. All you have to do is click the link below and fill in the voting form. Then vote each category ... if you really don't want to vote in a category, there is a check-box at the bottom that says 'I choose not to vote' so just mark that and continue on. At the very last, you can also vote for Horsman as the company of the year!! Diamonds Really Are a Girl's Best Friend. How thrilling it was for the new Equestrienne doll in the Urban®Vita line to be given the Diamond award from the Industry Choice Awards of Excellence. It was well deserved, and I was so excited! Wanna see her photo? She is surely a jewel to be cherished. I think that collectors will love her vintage feel and yet, along with that, her very modern attitude. A bit of 'something for everyone'. Now it is YOUR turn! I hope that you will all vote for her when Dolls Magazine's July issue is released and the public voting begins. I would be so proud and happy to have one of my friends win the most coveted award of the year, and she can't do it without your help. Please do give Equestrienne a vote. I honestly think she deserves it, don't you? Can you believe that Spring is here? I'm still enjoying wearing all my winter sweaters and boots, but I guess it will soon be time to put them away till next year. Daffodils are blooming all over the place and robins are perched on my balcony overlooking downtown Manhattan and that is a sure sign that Winter is almost over. I always enjoy seeing the season change here in NYC. You might think that it wouldn't make much difference in a place where there is an abundance of concrete and so many buildings that it's hard to find a patch of earth to plant spring bulbs, but it does. Brighter colors in clothes start to show up among the standard black of the crowds rushing here and there, and Central Park draws more and more New Yorkers who are looking for signs of spring. Now and then I even get a cab where the driver has put some spring flowers in a holder on the dash board! I think maybe it's time for me to look for some new outfits ... after all, a girl needs to give her wardrobe a boost every now and then. I'm off to IDEX in Orlando, Florida in April, and I'm sure to find lots of exciting things there! I'll tell you all about it as it should be fun and exciting! 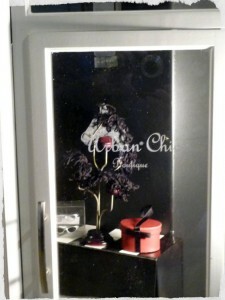 You all know that I love the Urban Chic Boutique, right? Well now I have even more to love about it. They have started carrying furniture in their annex which is called "Urban Environment". How "chic" is that? When I stopped in the other day, I found simply the ideal chair for my Valentine party. Red and heart-shaped! Could it be more perfect? But, of course, if you are one of those folks who is not 'into' a heart theme, take a look at the chair in black. Oh, my! Does that not remind you of a cocktail glass? Can you see it with a small olive-shaped pillow tossed on it and sitting next to a cocktail table? "Oh Waiter, I'll have mine 'up'!" ... Up to my apartment, that is! The big question is black or red? One of each? Two of both? There was other fantastic furniture in the boutique also, and if you can't get there in person, you can see it all on line at www.horsmanltd.com. Be warned ... you'll want everything! Current Music:You Know You Want Me. I 'heart' The Urban Chic Boutique! When I left work last night, I decided that I'd do a bit of window-shopping at my favorite store. I just love the mix of new and vintage that the owner of the Urban Chic Boutique always has on display. While I enjoy current fashions, I also have a passion for retro, vintage and even a bit of rock-a-billy just to keep things fun. Anyone can follow fashion, the trick is to lead it! That one-of-a-kind skirt will just have to find it's way into my closet before Valentine's Day. I might even hostess a Valentine Day party just to be sure that I'll have a reason to wear it. The cat-eye sunglasses and "smart-girl" glasses that I could see sitting on the counter with the over the top horse hat are just too cute. Wouldn't I look chic at the Kentucky Derby wearing the horsey hat and the silver sun shades? Oh, la, la. I'm going to have to come back when the store is open and do a bit of shopping. There are always so many things for which to be thankful that most of us here in this great country could never fit them all into one day. I know that I couldn’t! One thing I’m very, very thankful for is YOU! Without each and every one of you sharing your time and imagination with me, I would be very lonely indeed. I have such creative and talented friends, and I can only hope that I am able to add to your day-to-day joy in some small way. I know I mentioned this store earlier ... before my trip to Japan when I was shopping for clothes to take with me. I wanted everything in the store, but I knew I'd want to shop Japan, so I restrained myself. Good thing I did! Boy, those Tokyo shoppers are simply world class. If there were an Olympic shopping event, I think I'd know which country would take gold. Though we say, "I'll never have to buy another outfit. ", even as we say it we know that it is an outright lie! Guilty!! So I may as well fess up and tell you about my favorite store here in NYC. The Urban®Chic Boutique is tucked away on a terribly chic little side street so that you have to be either lucky to happen to walk that way or one of the "in-the-know" who have been told by a friend that this is THE most delightful shop in all of New York. It has that wonderful quality of being 'everything to everyone'. Almost magical in the way that shoppers who find their way here almost always find that 'just the right piece' that they may not have even known they needed. I'll tell you more about it later. I have to dash off to a meeting, but next time I go to shop, maybe I'll even remember to snap a photo so that you out-of-towners can see my favorite store! I have a confession to make. I, Vita Richards, am an addict when it comes to the Olympic Games. Summer games or Winter, it makes no difference. I simply love the Olympics. The Summer Games of 2012 are in London with the opening ceremony falling on July 27 (just a little over a month away!) and I plan to be glued to my television set since I was not able to go to England and see the events in the vinyl. Why couldn’t I go to London? Ah, now we are getting to the crux of the matter. I might be perceived as a successful young woman who lives in NYC and has a passion for fashion and the ability to understand the world of high finance, but I have more talents than just wearing clothes well! My fantastic articulation has always allowed me to assume almost any pose. This led to my devotion to the sport of Rhythmic gymnastics. It requires strength, flexibility, co-ordination, balance, rhythm, and control. Believe me, not every doll is cut out for this sport because, lets face it, if you don't have "moves like Jagger" and if you can't stand without help, you are simply going to be a non-starter! Even though I am a ‘natural’ and have an ability to pose that would simply make you weep, I will not be on team U.S.A. It seems that dolls are not allowed to participate! Can you believe that? I am an expert at both Rhythmic and Artistic gymnastics, but was I allowed to even try out for the U. S. team? No! And it wasn’t because I lacked flexibility, or balance, or articulation; it was because I was a doll! First the committee said I was too short. Artistic gymnasts are short! It is a sport that just cries out for short people. Short ‘people’ ... not dolls! Well, no matter how hard I worked on my routine, it did me no good. So, I’ll be watching and cheering the non-dolly athletes from the comfort of my living room, as will most of the world. I don't know if I'll ever stop talking about my trip. I have to say that the country of Japan knows how to treat a doll. 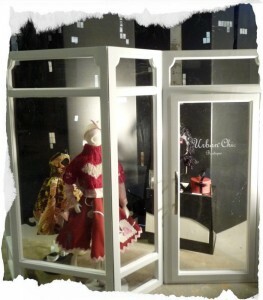 Perhaps that is because of the way that a doll or doll-figure is interwoven into the culture. Just look at this perfectly sized Imperial sedan chair. Honestly, I wanted to bring that home with me so badly! Can you just see me traveling to my job here in NYC in that? I should mention that I plan to be carried inside -- guess I'm going to have to find 4 strong, buff guys to do the heavy lifting! As you know, I thoroughly enjoyed the shopping, and this was one of my favorite 'finds'. Reproductions of the armor for Japanese Samurai and in my size! I really could not decide which helmet I liked most. So, I just bought them all! And do you see the Samurai swords and the sword rest in back of me? Oh! I feel a need to redecorate my apartment in an Asian theme! One of the tourist attractions in Tokyo is the Tokyo Tower. It is the largest self-supporting steel structure in the world and you can go up to one of the observation decks and see all of Tokyo spread out at your feet! My "people" thought it would be funny if I really got a 'bird's eye view' and here is the result! I'm NOT doing that again! Personally, I like this version best! They do say that diamonds are a girl's best friend, don't they? Don't worry. I'm going to sort through more photos and share them with you. Who knows? You might even get to see a photo of my traveling companions!